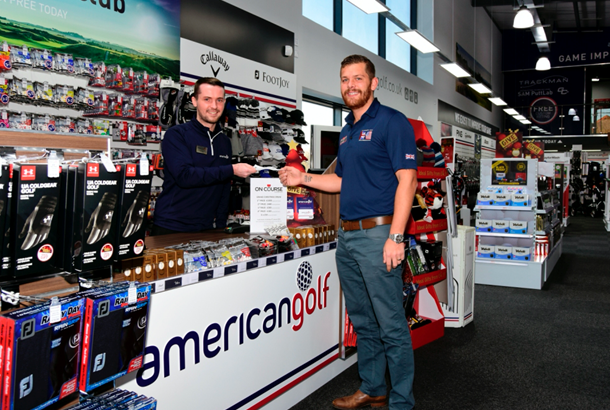 As part of American Golf's ongoing commitment to supporting its nominated charity, the On Course Foundation, the company is getting into the Christmas spirit early this year by launching a fabulous raffle across its 121 stores in the UK & Ireland. Tickets will cost just £1 each with all proceeds going to the charity, which uses golf to help in the rehabilitation of wounded, sick and injured Servicemen and women. Daniel Gathercole, Director of Marketing and Communications at American Golf is hopeful that customers will be full of Christmas cheer and dig deep to support the charity raffle throughout the Christmas season, "We have witnessed firsthand the incredible, positive impact that On Course Foundation has on its members. This is such a joyful time of year and we hope that our customers will share their Christmas spirit by buying one, or two tickets. Every penny counts!" Tickets will be available to buy in store from December 5th and the draw will take place on Monday January 8th. "American Golf's customers have already raised thousands of pounds for us this year and we are so grateful for their generosity. Money made from the sale of raffle tickets will enable us to continue supporting our current members and reach even more people who can benefit from having golf in their lives," comments Alistair MacKayForbes, Managing Director at On Course Foundation.